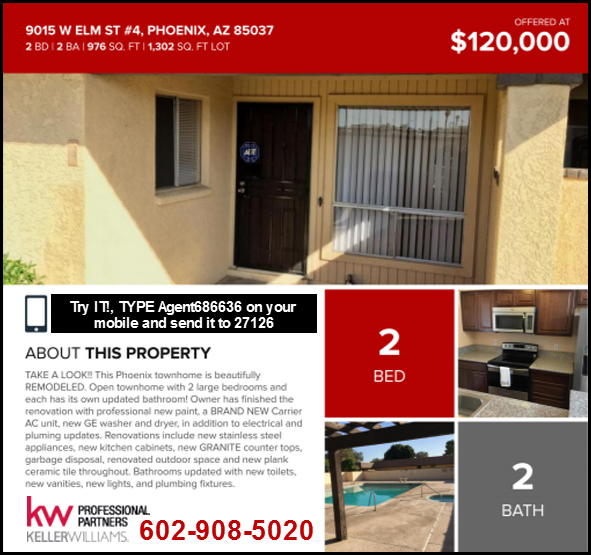 This particular Westview High School 2 Bedroom Townhouse For Sale Phoenix AZ Features 2 Bedrooms and 2 bathrooms with 976 SqFt. 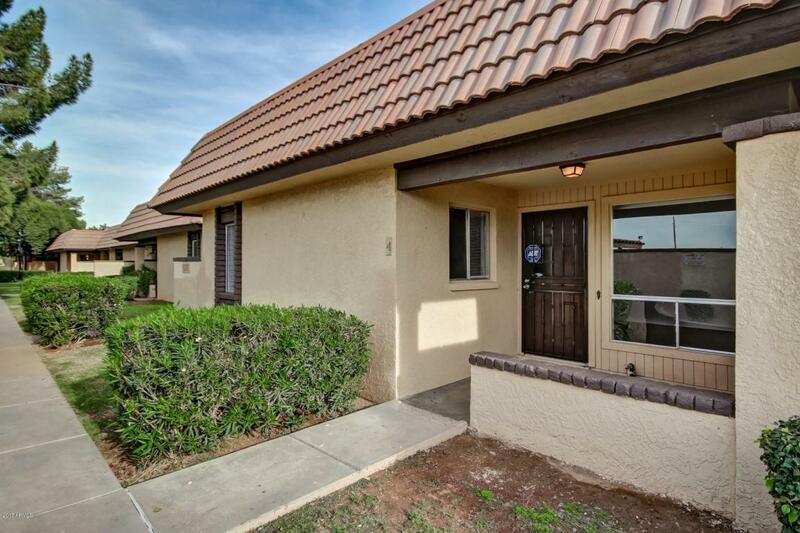 The front of this Westview High School 2 Bedroom Townhouse For Sale Phoenix AZ in Phoenix Arizona has Desert landscaping and features a 1 car port. The backyard of this Westview High School 2 Bedroom Townhouse For Sale Phoenix AZ In Phoenix Arizona has a Community pool. 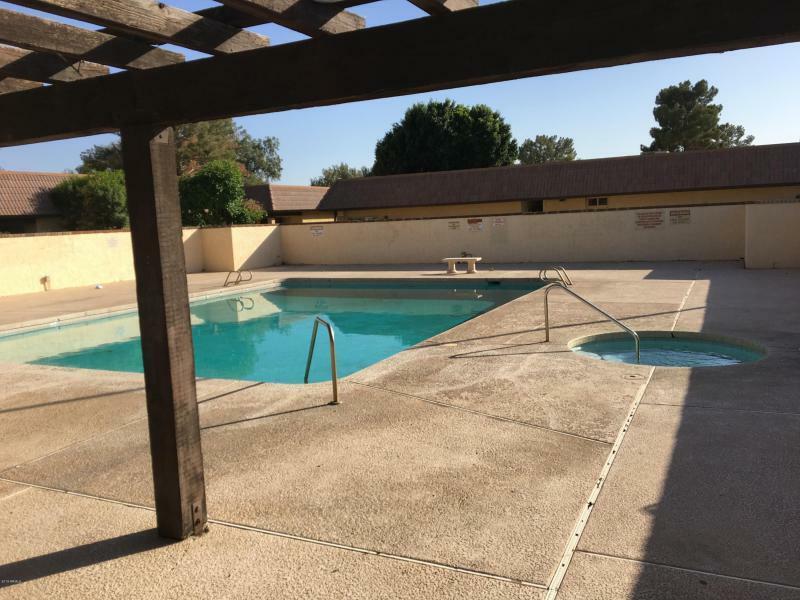 2 Bedroom Townhouse for Sale Phoenix AZ is situated in VISTA DE OESTE which happens to be inside the Tolleson Union High School . 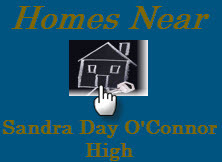 The Schools are Westview High School and Westwind Elementary School. To watch this Westview High School 2 Bedroom Townhouse For Sale Phoenix AZ. 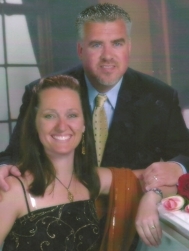 please click the "Find Out More" website link or deliver me a text message to 602-908-5020. I AM available right now to schedule a personal showing or to answer any other questions you may have. This Phoenix townhome is beautifully REMODELED. Open townhome with 2 large bedrooms and each has its own updated bathroom! Owner has finished the renovation with professional new paint, a BRAND NEW Carrier AC unit, new GE washer and dryer, in addition to electrical and plumbing updates. Renovations include new stainless steel appliances, new kitchen cabinets, new GRANITE counter tops, garbage disposal, renovated outdoor space and new plank ceramic tile throughout. Bathrooms updated with new toilets, new vanities, new lights, and plumbing fixtures. Convenient location, close to the 101 freeway, and WESTGATE Entertainment district. This property is turn key! Easy to show! 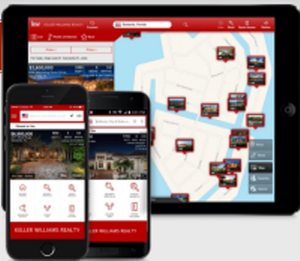 Contact the listing agent for more information!! Thanks for sharing this information. Best wishes for a successful transaction.